NEW obsession~roasting grapes! 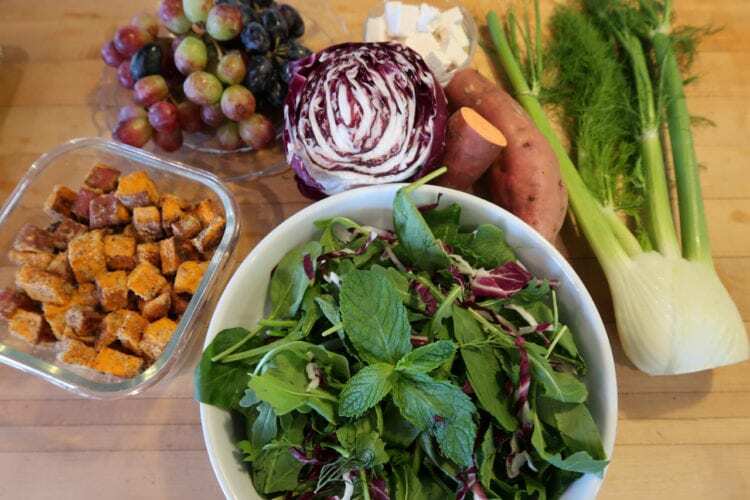 Talk about multiple mouth gasims, this is your go to for making salads pop like crazy! 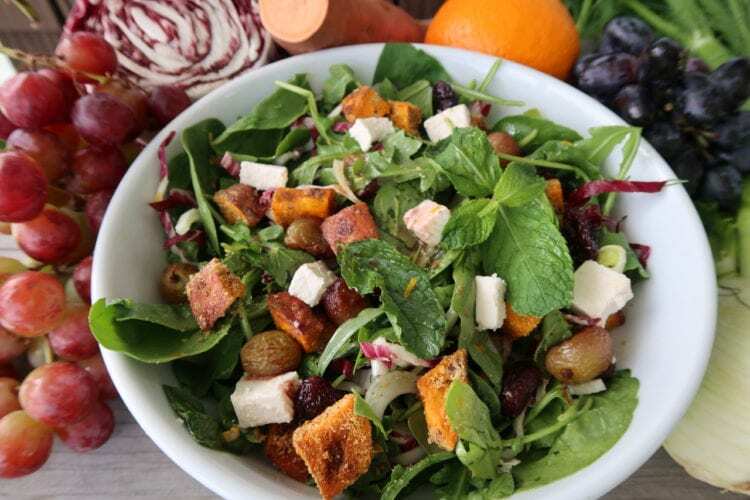 We’ve added sweet potato croutons, shaved fennel, almond feta, a little spicy greens with fresh herbs for this fabulous new salad topped with a citrus dressing that will truly wow your guests and make you feel like a 4 star chef! We’re switching out some of our old fav salad additions like cranberries, persimmons, and pomegranates after tasting a new variety of honey grapes at our farmers market~ oh my Peg’s was in heaven! 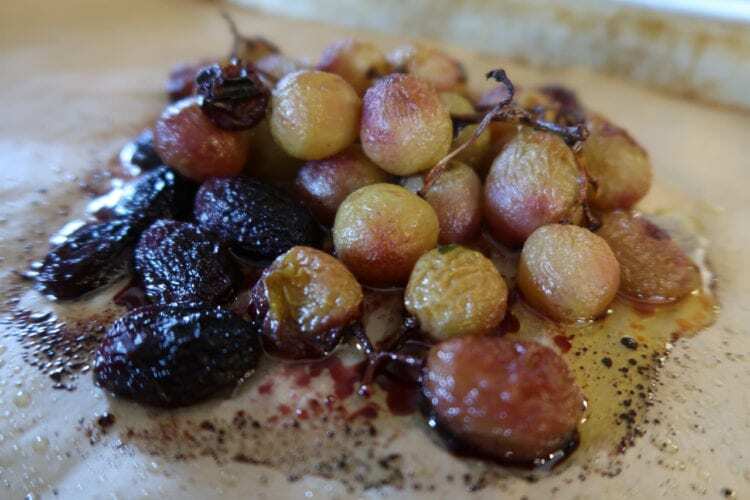 Eaten raw, frozen or roasted these grapes will make your taste buds happy! Hale to the those who roast grapes! I’m sure we are not the first to do this, however we are truly happy we discovered them and are sharing this recipe with you! Oh and BTW these roasted grapes are sisters to the raisin, only better! 1 medium bunch organic grapes, multiple varieties! Cook in oven for 25-30 minutes. 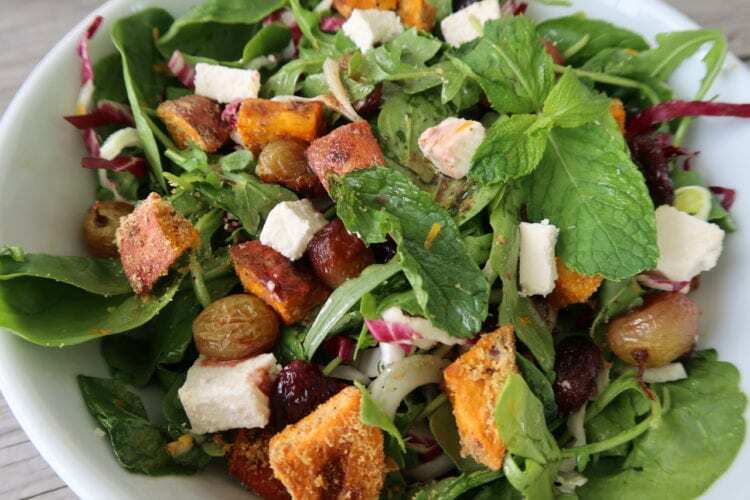 Save the juice and blackened bits and add those to the salad when you toss the salad with the citrus dressing. Remove the grapes from their stem and set them aside. Try not to eat them all. 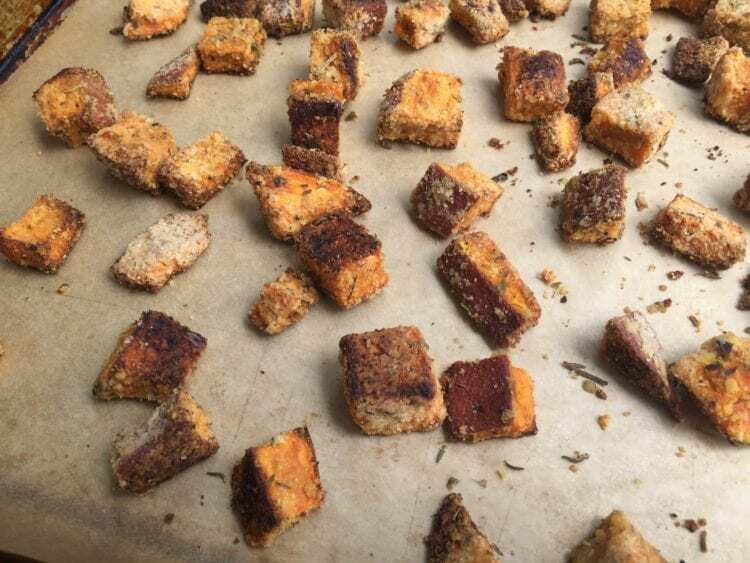 Sweet Potato Croutons link HERE. 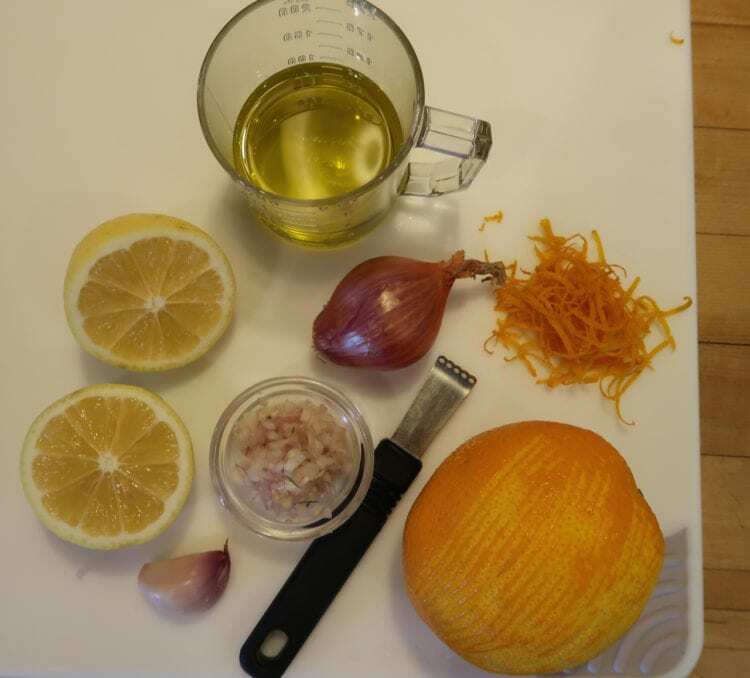 Zest the orange using a grater, micro-plane, or hand zester. You may also thinly shave the orange peel carefully using a sharp knife and then finely mincing the peel. Try not to get the white part of the peel. It can make the dressing a bit bitter.